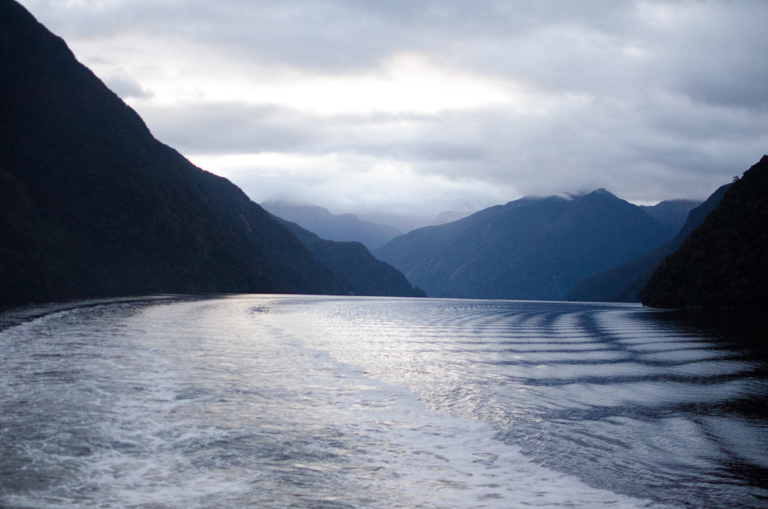 It doesn’t get much better than a night on a boat, watching waterfalls pass by as you cruise through a fiord. 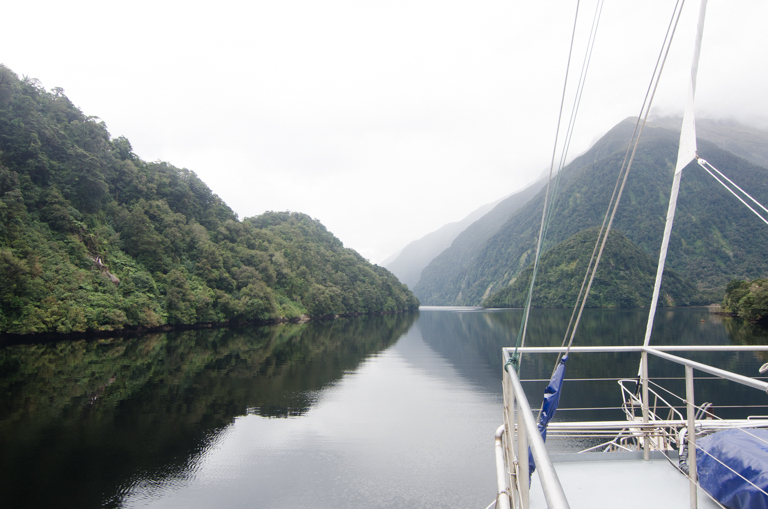 One of the most romantic things Nick and I did in New Zealand was to go on an overnight cruise on Doubtful Sound. 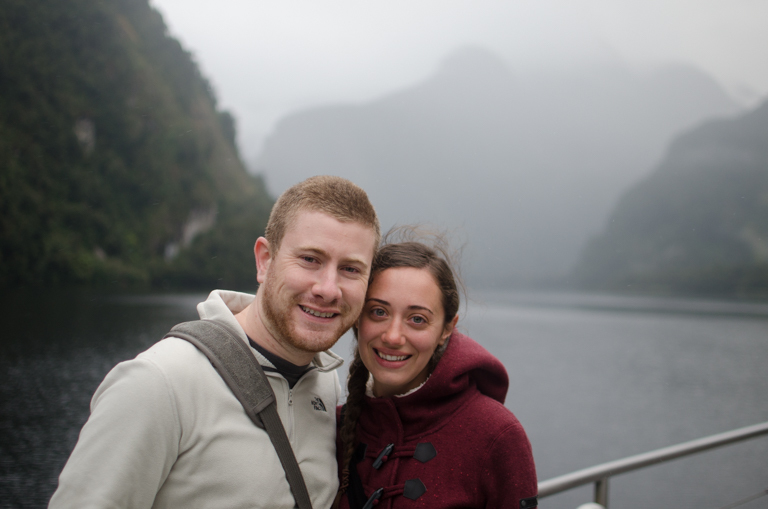 Just being with Nick and beauty of Doubtful Sound was so romantic and peaceful. 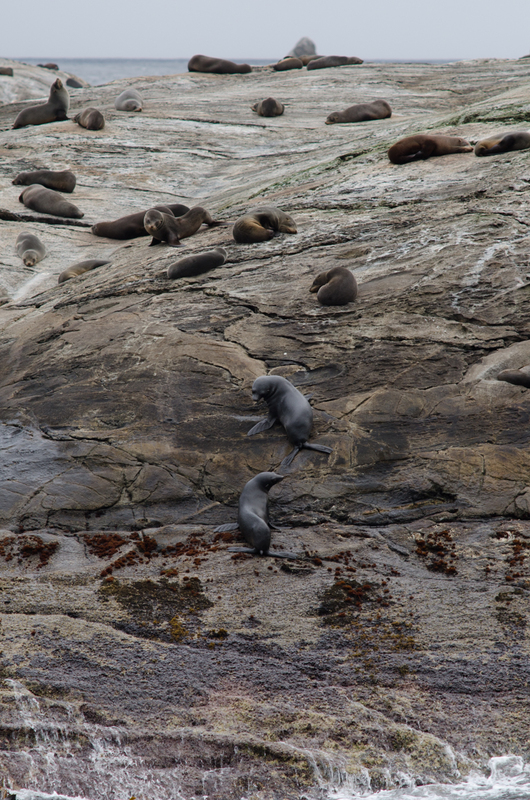 I am so grateful that we got to spend a night on a boat, chasing waterfalls, spotting dolphins, seals, and penguins, and even going kayaking in the water. 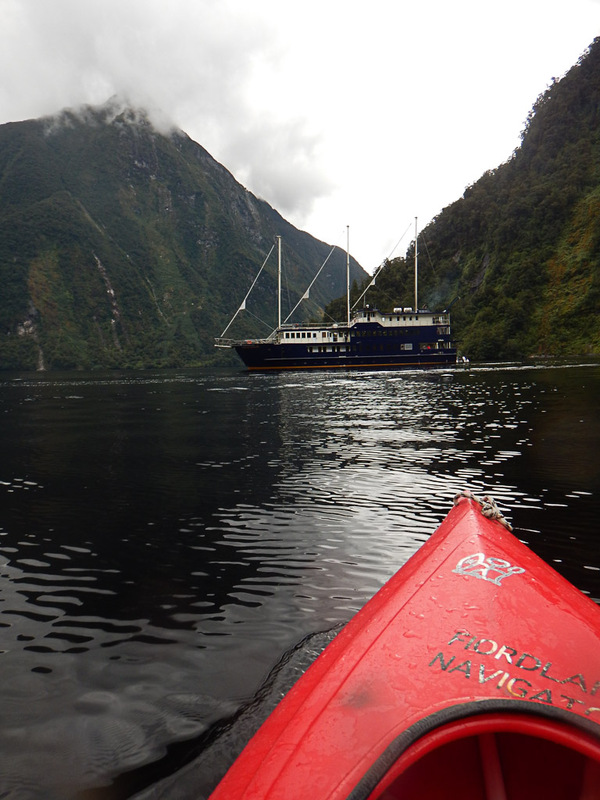 We did a lot in our short time on Doubtful Sound – come along for the ride! 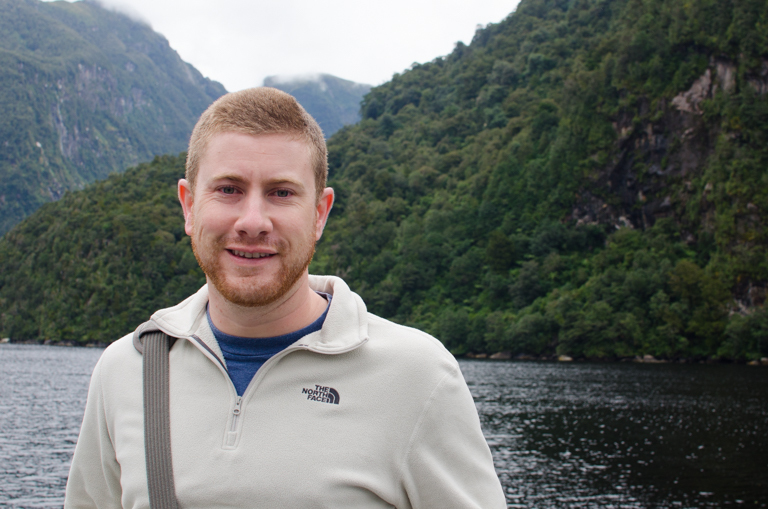 The big question during our planning was whether we would go to Doubtful Sound or Milford Sound. 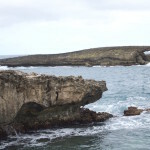 Milford is definitely the more famous of the two, and I didn’t even know about Doubtful until we were deep into our research. 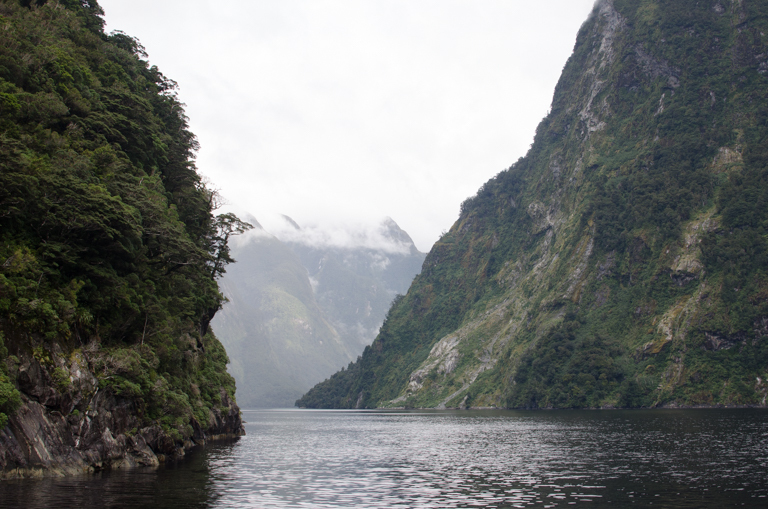 Although we originally intended on going to Milford Sound, we ended up choosing Doubtful Sound because it’s more remote, quieter, and bigger, so we thought it would be a better, more dramatic experience. 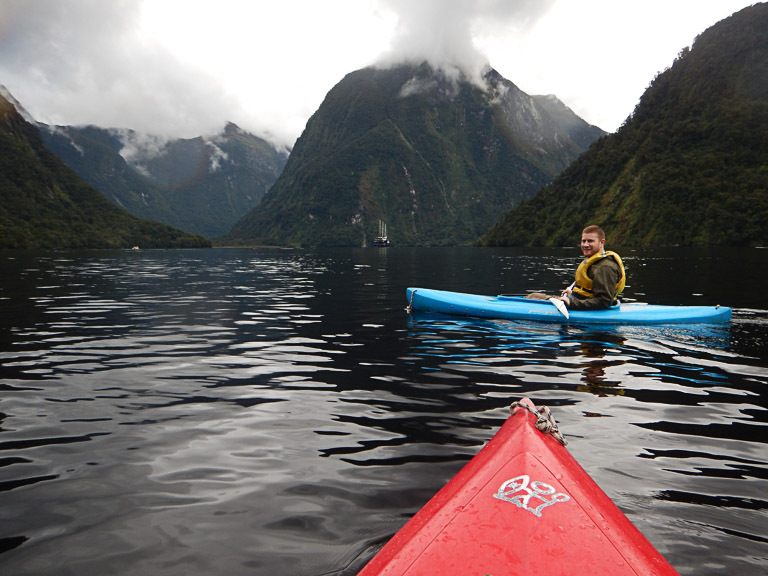 Doubtful Sound is hard to get to, so less people go there. 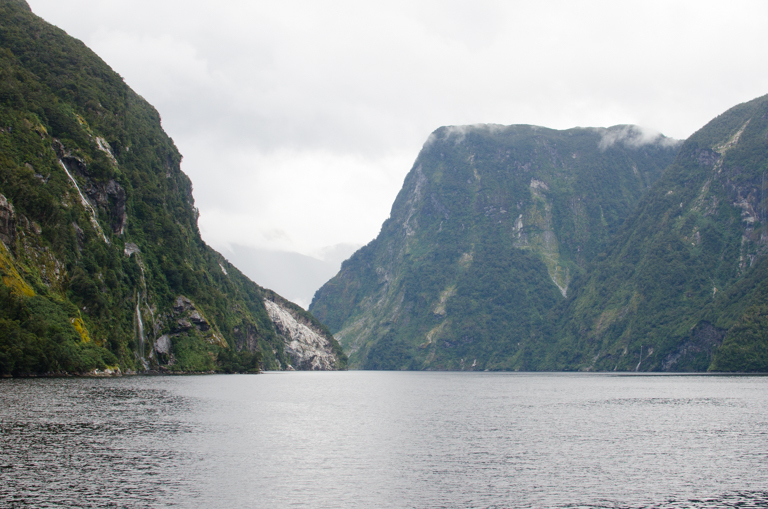 Doubtful Sound is also is much bigger than Milford Sound, so there are a lot more places to see and little areas to go into. We read that the Milford Sound cruises basically follow a set track around the sound, and that you can see the other ships as you go around. Sort of like an assembly line. I felt like that would take away from the tranquility. 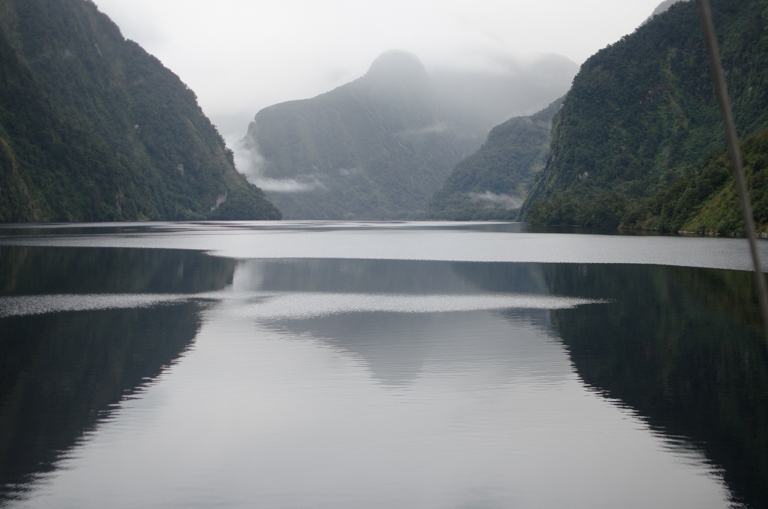 But since Doubtful Sound is so much bigger, they customize the cruise to go wherever they want, wherever conditions are best that day. I didn’t see any other tours the entire time we were on board. I am really glad we chose Doubtful and I think you will see why! 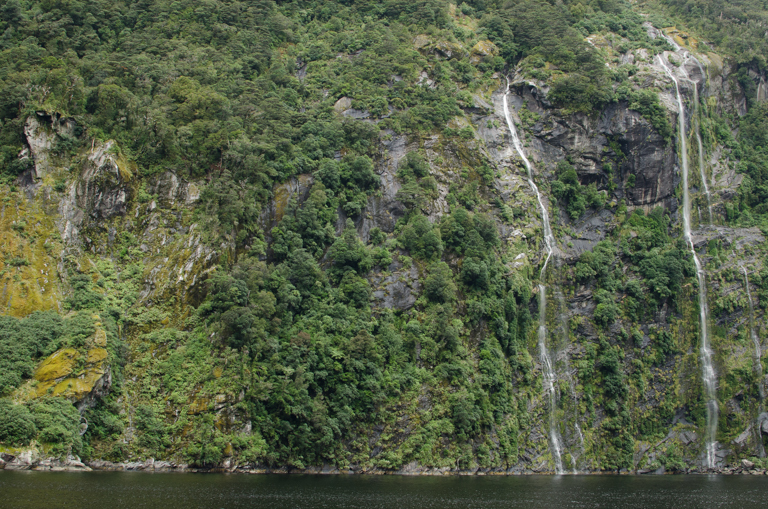 Doubtful Sound is, admittedly, much more of a trek to get to than Milford. I think that this must be a huge contribution to the fact that Doubtful is less popular. 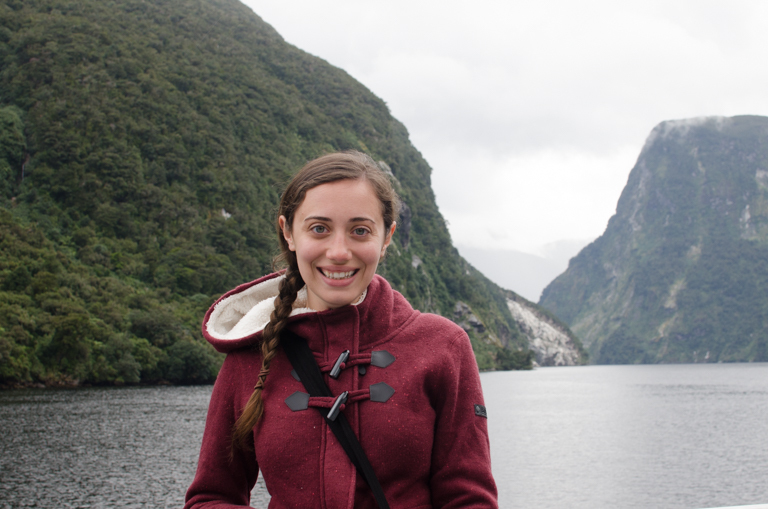 Getting to Doubtful Sound was a 3-hour journey that involved a bus ride, a ferry across a gorgeous lake called Lake Manapouri, and another bus ride over Wilmot Pass. If that’s not remote, I don’t know what is. The views were awesome on the way there! I knew we were in for a treat. We loved the long trip out there. The tour company (Real Journeys) took us the entire way. Nick did all of the driving while we were in New Zealand, so I was happy that he got to relax and see the views along the way. 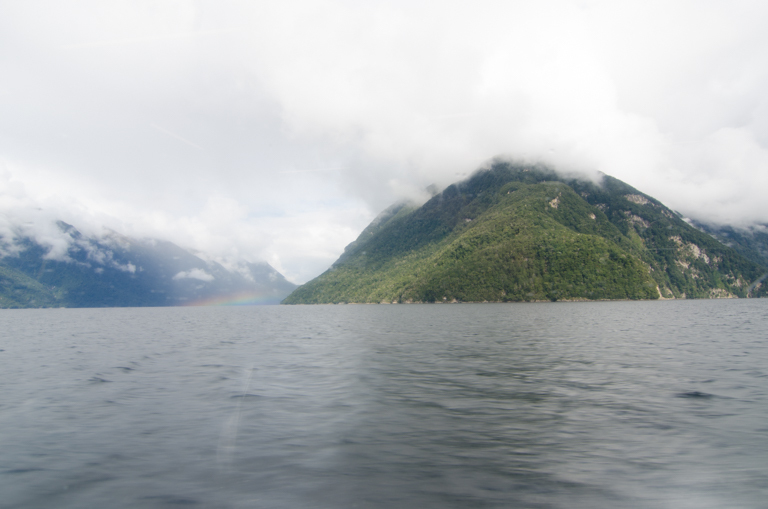 Every single part of the journey to Doubtful Sound was incredible, even the bus rides, and we were just getting started. And then we arrived! I loved that our boat was big enough to feel like we had plenty of space, like a cruise, but small enough that there were not a lot of people. Once we got there, Nick and I spent the entire day walking around the ship, getting different views, and of course, taking lots of pictures. 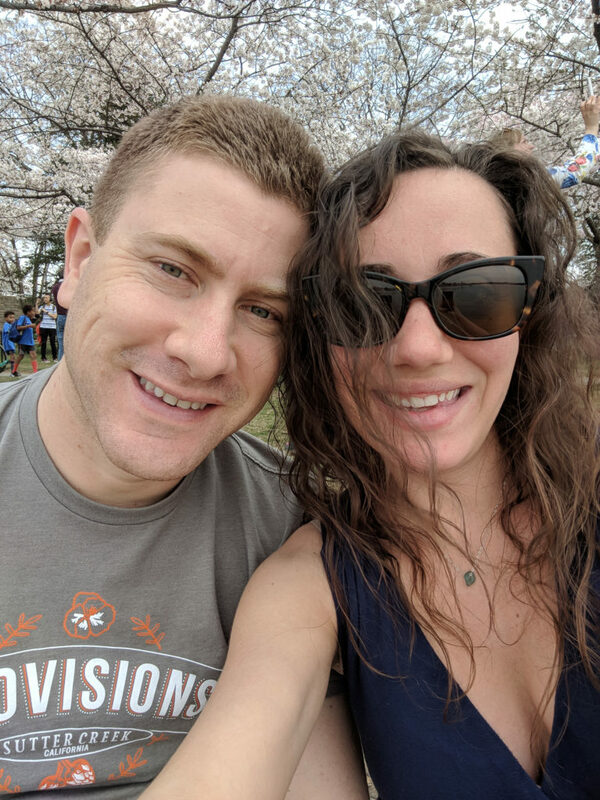 It wasn’t hard to find a place for just the two of us. It didn’t feel crowded at all. It was chilly outside, but luckily we came prepared, and there was plenty of hot coffee served all day and all night to keep me warm. It was literally just our boat and nature. I didn’t see a single other ship or hear any sounds except the boat, the animals splashing in the water, and the waterfalls. 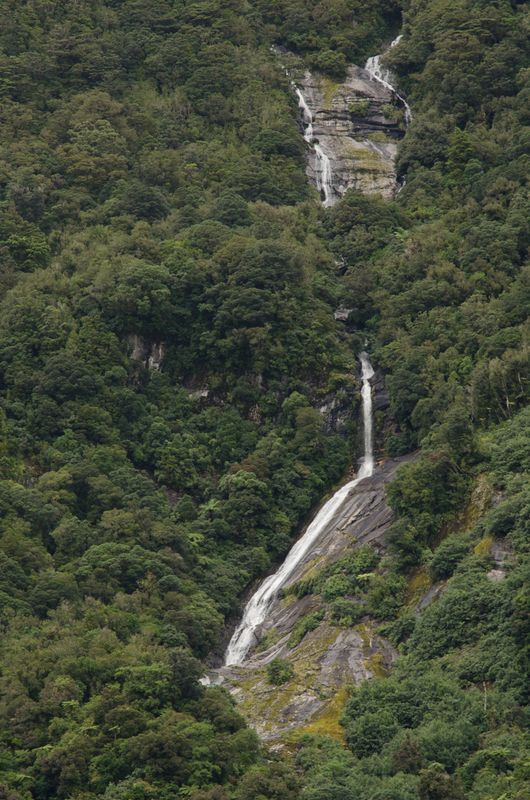 I felt like every time I turned around, another waterfall was coming into view. Look at those mirror-images in the water. Completely stunning. 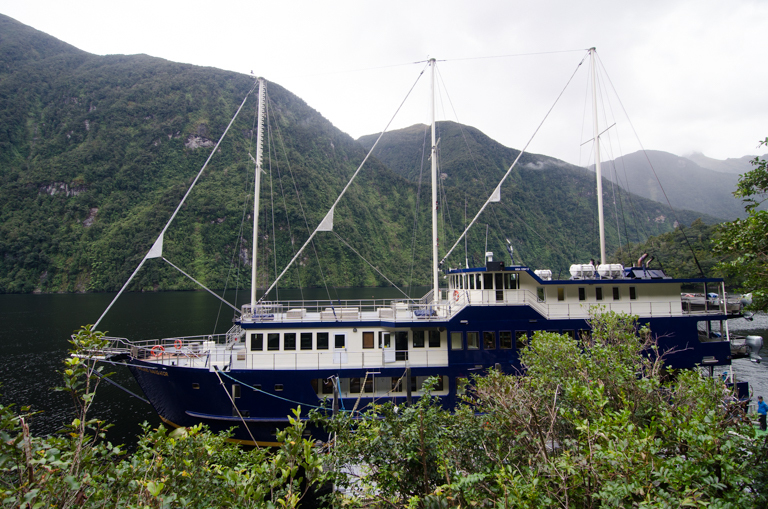 All we did was sit outside the boat and watch the fiord pass us by. And drink coffee. 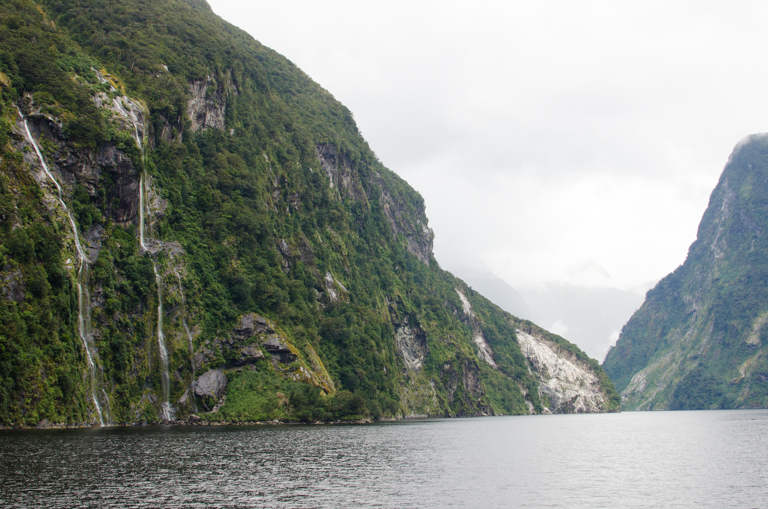 Sitting outside on the boat with Nick as more and more waterfalls and fiords came into view was one of the most tranquil experiences of my life. It was the ultimate getaway, pretty much my definition of a vacation. After a while, the captain chose a spot for the boat to stop, so that people could go kayaking. I had no idea that we would be able to do this and I thought it was just so cool that we actually got to go into the water. 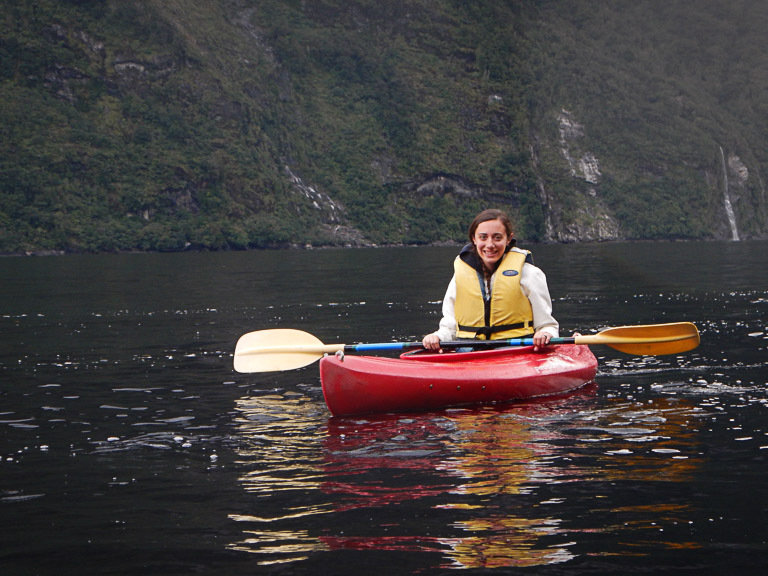 We saw dolphins go right by us as we kayaked around — I couldn’t believe it! 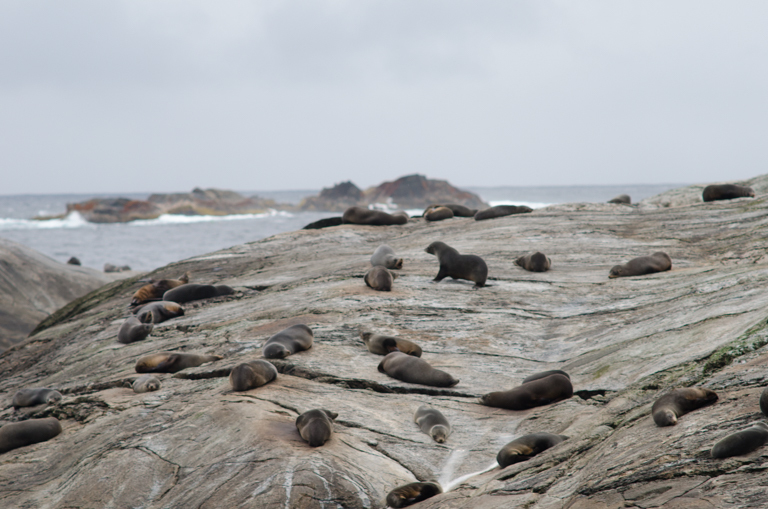 Later on, the captain took us out to see a seal colony. 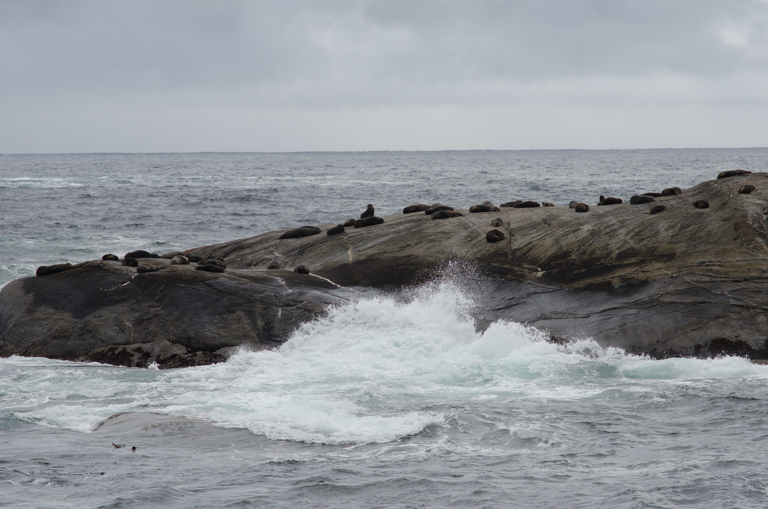 We got to see so many seals just laying around, swimming, and going in and out of the water. They are so darn cute. 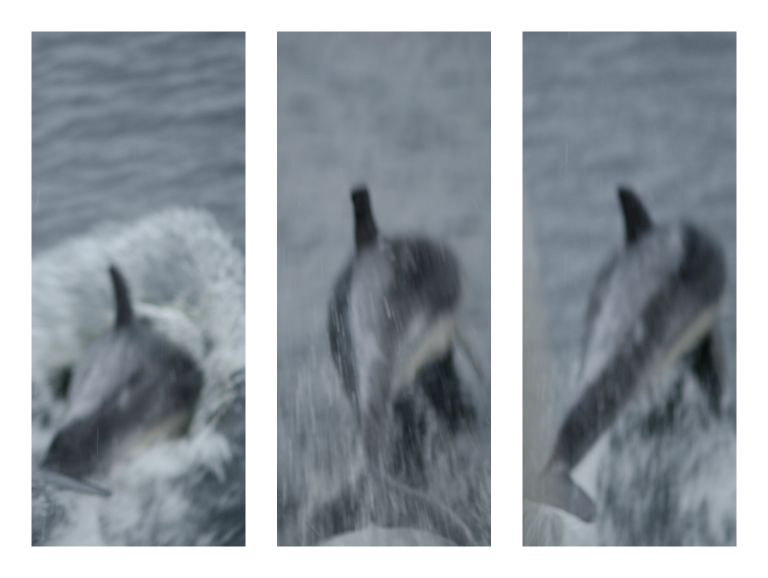 On our way back, dolphins came to play with us! Our tour guide said that dolphins like to come over to the boats because they like to feel the force of the boat pushing them along the water. It’s like an amusement park ride for them. They rode along with us for such a long time before going their own way, and they seemed like they were having a blast. Nick and I just happened to be right at the spot where they came over – I had never been able to see dolphins so close or for so long. 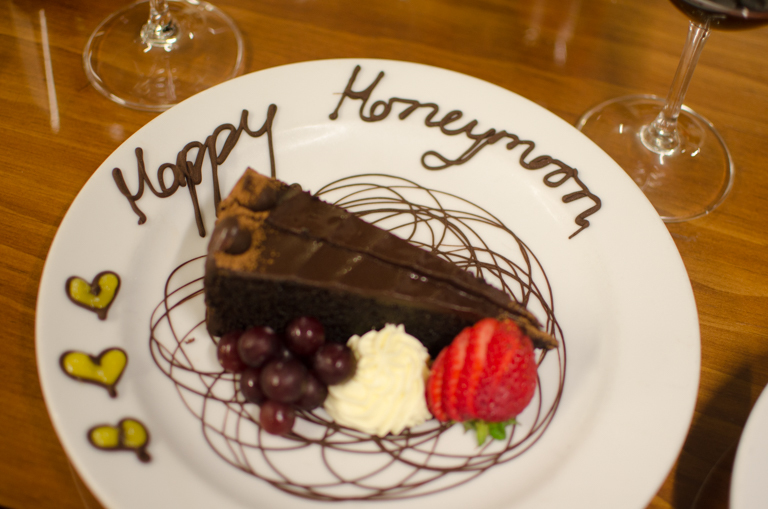 That night, there was dinner, and the tour guides made sure to celebrate all of the people who were celebrating special occasions – and they gave us this little honeymoon cake! We had some wine and turned in early, so that we could wake up early and see more of the sights. Our view at night, as the fiord turned dark. The next morning, the captain did something that I had never experienced, and it was the best part of the whole trip. He brought the boat to a complete stop and turned the engines off. He asked us to refrain from talking, moving around, and taking pictures. 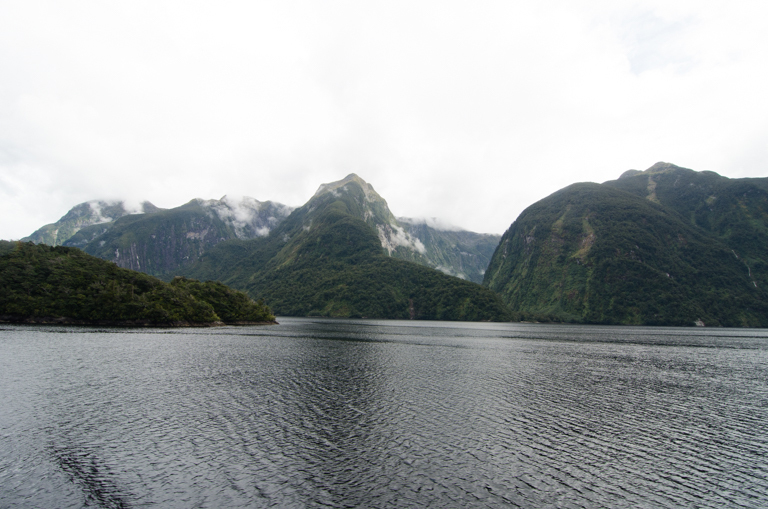 For a few minutes, he asked us to just listen to the sounds of Doubtful Sound and really take a look at where we were. 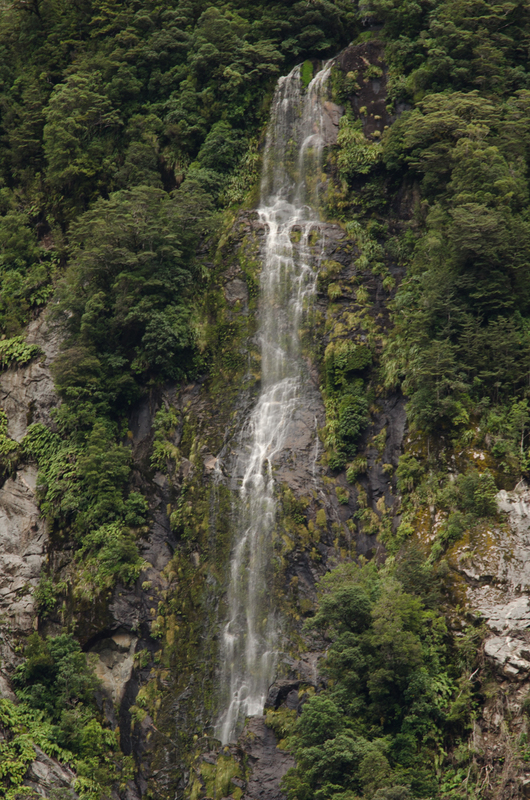 We could hear the waterfalls and some animals splashing around the water. It was such a perfectly quiet, peaceful moment, even with all of the people on board. I feel like at any given moment, my head is spinning with things I have to do, but out there, I felt completely rejuvenated, not a care in the world. It was so romantic and I am so glad Nick and I got to share that moment together. So much of the trip passed by in a blur, but I will never forget that moment. 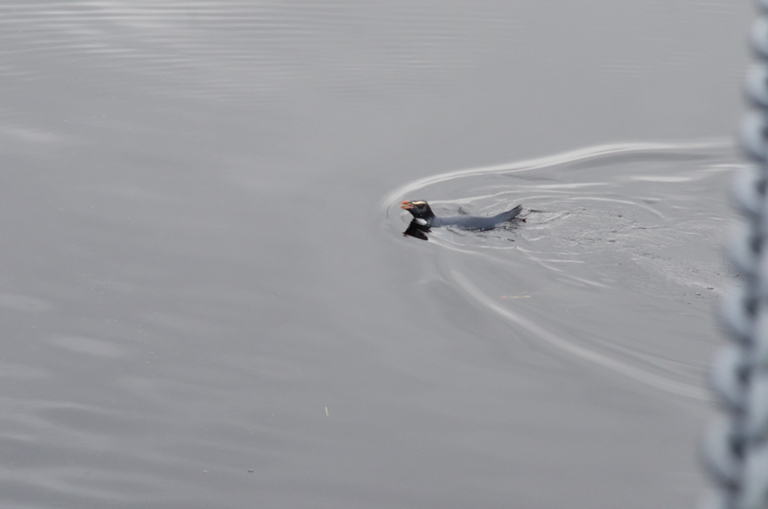 And then we saw Penguins! 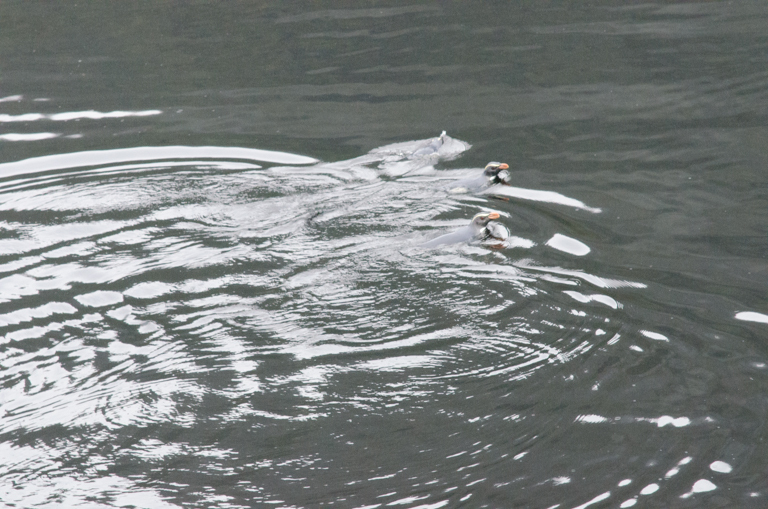 To be precise, Fiordland Crested Penguins. 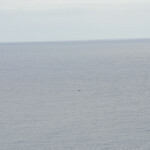 They are only found in this part of the world, so I thought it was really awesome that we got to see them. Nick spotted them – he is so good at finding all of the little details that people tend to miss! Especially when it comes to nature. I like to stick close by him! Once it was time to disembark, it was another 3-hour journey back to Queenstown, where we spent a few more days. 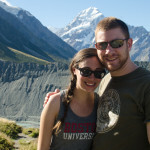 We ended up using Queenstown as sort of a home base for a lot of different places we wanted to go, but we also got t to hang around the city, too. 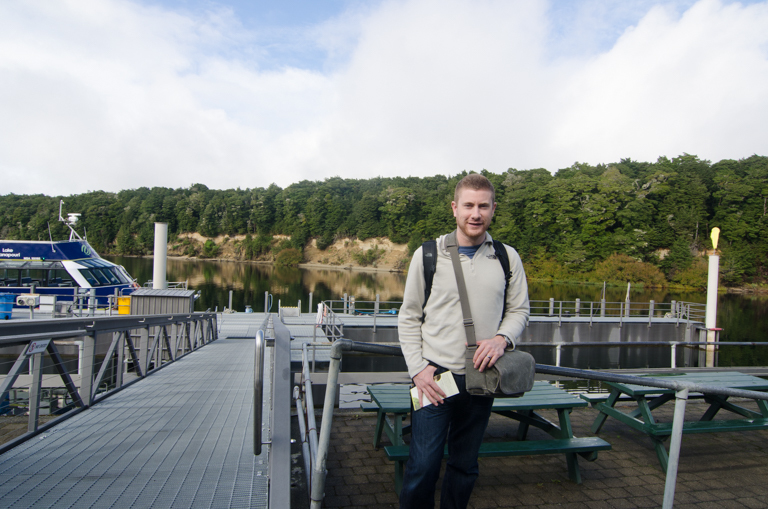 Check back next week to see some pictures from Queenstown! 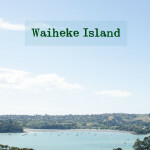 I think you will definitely get to New Zealand one of these days, Isabel! 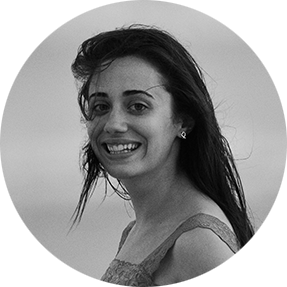 I know you have wanderlust in your genes. 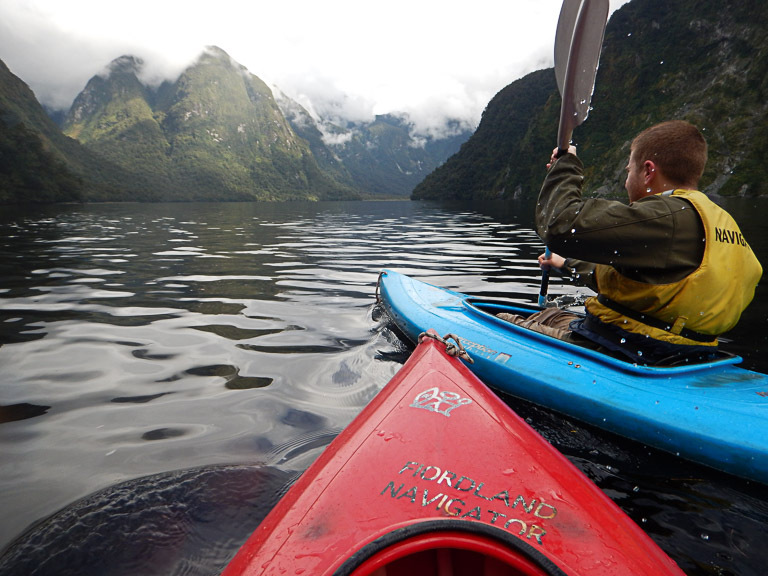 New Zealand was such an incredible trip. I hope I can go back one day! Aw thanks so much, Joyce. That was such a sweet comment. It was surreal. How utterly intoxicating – and totally worth it! Yes, it absolutely was worth both the time it took to get there and the money it cost! You come from such a beautiful country, Emma! I loved the natural beauty, the people, the culture. 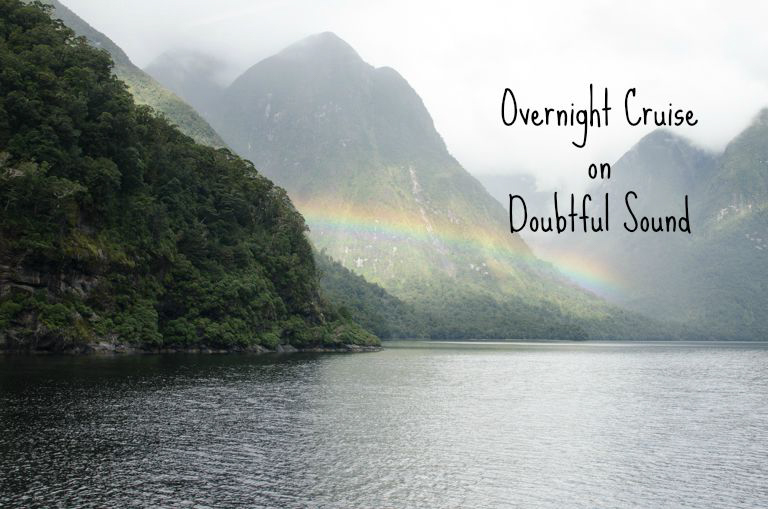 Have you ever been to Doubtful Sound? Sadly not yet, but I would love to! !